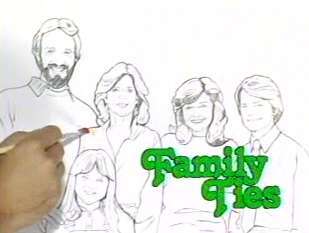 PeopleQuiz - Trivia Quiz - Family Ties: Fun Family Sitcom! Trivia Quiz - Family Ties: Fun Family Sitcom! What do you remember about the 80s sitcom, "Family Ties"? 1. "Family Ties" features the Keaton family. In what Midwestern American city do the Keaton's live? 2. How many children do Steven and Elyse Keaton have? 3. What is Steven Keaton's occupation? 4. What is Elyse Keaton's occupation? 5. Alex Keaton is a card-carrying member of what political party? 6. Marc Price played neighbor, Irwin Handelman. What was his nickname? 7. What was Tom Hanks' role during the first and second seasons of "Family Ties"? 8. Which of the following is NOT true about Steven and Elyse Keaton? 9. In the sitcom, "Spin City," starring Michael J. Fox, several allusions were made to "Family Ties." In these episodes, what was Michael Gross' character's relationship to Fox's character, Michael Patrick Flaherty? 10. How many Emmy Awards did Michael J. Fox win for his portrayal of Alex Keaton?